Choosing a batch of world famous photos is really complex, but really fun to do, because studying images, is for me the best way to learn about photography in its essence. Photography for me is about capturing meaningful stories, and nothing more. 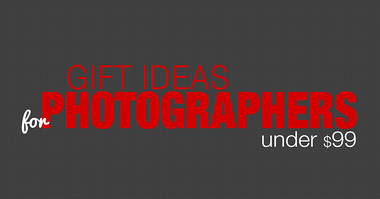 It is completely normal to expect readers commenting on the inclusion or exclusion of certain images. The purpose is not to exclude or include, but to mention world famous photos that had been renowned as iconic due to their social and anthropological importance. Please feel free to share other images that could be considered as historically important in order to get a richer experience through the social development of these words. Without further ado, let’s talk about some world famous photos. Published for the first time in 1985, the iconic portrait of a young afghan girl, refuged from the war, still evoques to this day, a deep and complex mix of feelings and emotions. 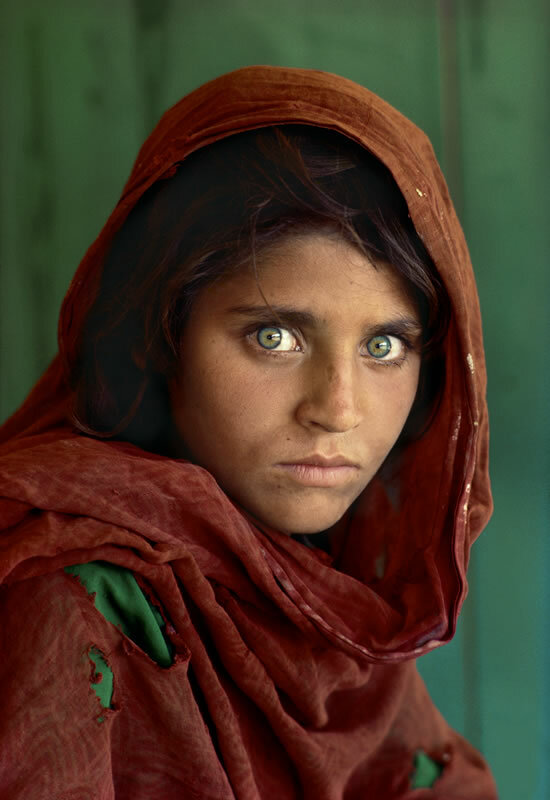 After seventeen years, Steve McCurry found her, and portrayed her again. This image is the superb portrait, of all portraits, of all time for me. This due to many things; but the primordial is that eerie feeling of indefinite expression (I guess this is why some people have stated that this picture is the modern Mona Lisa). The moment Steve McCurry captured is so intense, that I could only guess that this is an evidence of the transition between recognizable emotions. Her beautiful green eyes, her skin, her hair, her fragile clothes, the outstanding sharpness of the image, the complementary colors, her soul piercing look, everything in this picture, speaks. I used to remember when I first saw this image, that I imagined Steve McCurry running on a random street, and capturing this image almost candidly. Later on I learned that it wasn’t like that; and it doesn’t matter to me, this portrait is sublime and perfect, it speaks about the universality of the human being. A couple of years ago, I saw this video, and I understood the importance of having agile and well-intended social skills in order to capture meaningful pictures. Steve McCurry wasn’t running away from the bullets like a superhero-portrayed him when I saw this image for the first time (at least with photographic awareness of what could had implied capturing an image like this one surrounded by a bellic context), but he was at a school, and he managed to let her almost want the picture. His skills were beyond amazing. We have the wrong idea that kids don’t understand things, and they could be tricked out easily. But kids don’t lie, and they have a lot of temper and character, and this is completely tangible in the iconic portrait of Sharbat Gula. And after 17 years, he found her again. And for the techy and curious ones, he shot this image with the legendary Kodachrome film, with a Nikon FM2 and a trusty Nikkor 105mm f/2.5. Robert Capa acquired a great and vast experience as a war photographer during the Spanish Civil War, and with this image, the Persona behind Robert Capa, got a great degree of recognition at a global scale. 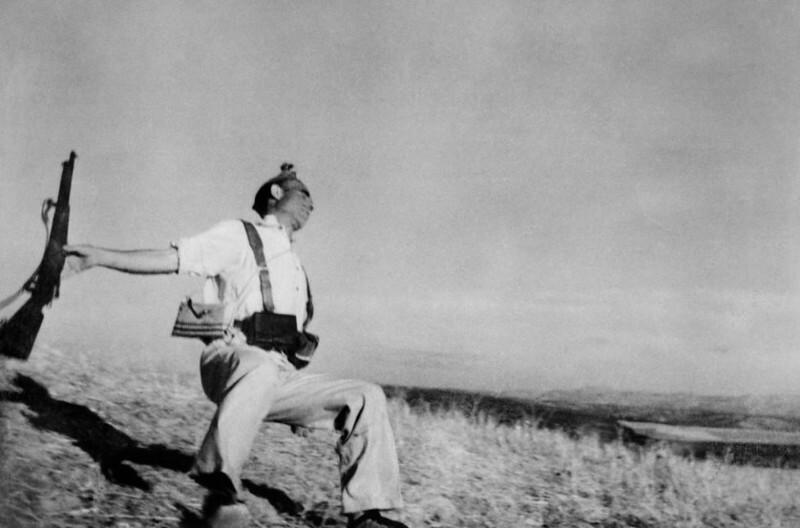 Taken near Córdoba during the first months of the war, the image depicts a soldier that has just been shot. Published for the first time in the 23th issue of the French magazine Vu, the photograph was printed and reprinted over and over again, and became the war’s icon, and one of the most famous war photograph ever been taken. Two years after that picture, the British magazine Picture Post stated that this 25 year old photographer, was the best war photographer of the world. The image is really controversial because it has been surrounded with many theories that debate on it’s authenticity. It has been said that the image in fact was staged. Nevertheless, the image shows a clear reality about the harsh vulnerabilities that people endure during war. The image shows the rifle of the soldier falling while the body of the soldier falls to the ground. The image shows the fragility and the immediacy in which death could happen to a human being. The surrounding field and mountains have served studious people as the key studium to determine the veracity of the image. Migrant Mother from Nipomo, a picture taken by Dorothea Lange in her home state California, is the emblematic icon of the harsh realities Americans endured during the Great Depression of the 1930s. This is most well-known image taken by during the project commissioned by the Farm Security Administration in the pursuit of capturing the impact of the Great Depression on the American Families. Dorothea Lange stated that she found this woman while working on the journalistic project, she was a mother of seven children at that time and that she spent as little as ten minutes picturing them. The image is a pure capture of a real moment in time. This image is the archetype that represents the victims of such economical struggle, and portrait centers at first, in just one person. 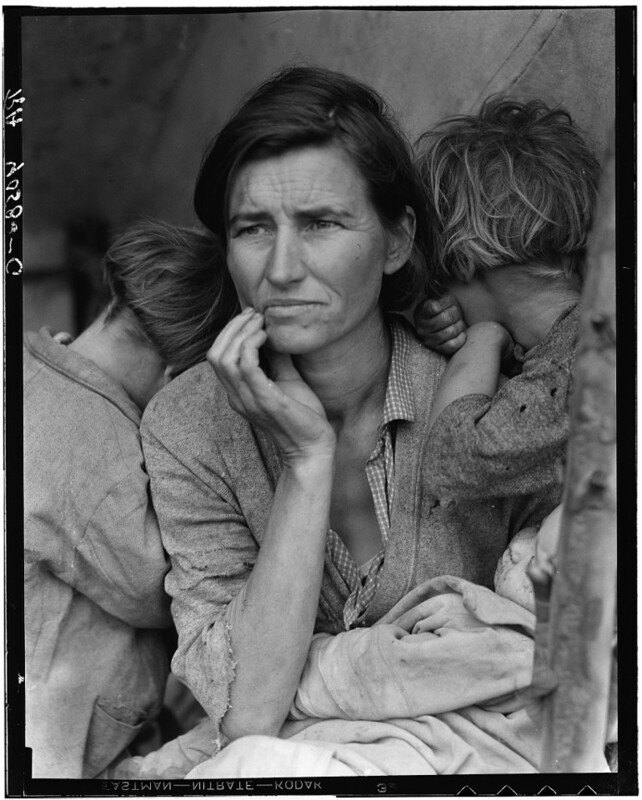 Dorothea Lange didn’t mentioned the name of the woman, and decades later it was recognized that the woman in fact was Florence Owens Thompson, which lived at that time in the Cherokee territories of Oklahoma. The fact that the name wasn’t stated by the photographer, makes a complex deal around the job of a photojournalist in a documentary work, but I personally think that she knew about the importance of the image as an archetype, and the name wasn’t necessary. But, the same Florence Owens Thompson recognized years later that she wasn’t comfortable that her image worked as the eternal depiction of poverty. The image is also part of the assets of MoMA. If we study the image, we can easily recognize her as the center of the image. Lange had a fixation on hands as symbols of the hard work many people had to perpetrate for a living, and this one is no exception, but here the hands show us a little more, they show us a great amount of worrying. And last but not least, the three children on the image. There are two kids, framing Florence side by side, and suddenly, we can see a baby that looks vulnerable to the harsh realities surrounding them. We can say that the punctum of the image is the worry in her eyes and hands, and the studium of the image, is the difficult context of raising a vast family under the struggles of the depression. Cartier-Bresson was known for his challenging approach of not cropping his images, and showcased them right as they were framed in camera. He talked a lot about the Decisive Moment, which is few words, the ability of capturing a moment, right before it happens. I don’t remember the source, but I heard once that he said (and this one was printed in my memory) that if you had seen the moment, it had just occurred, and that one as a photographer must be able to see the moment before it happens. The image called Hyeres by Cartier-Bresson is almost all the illustration needed in order to comprehend composition. 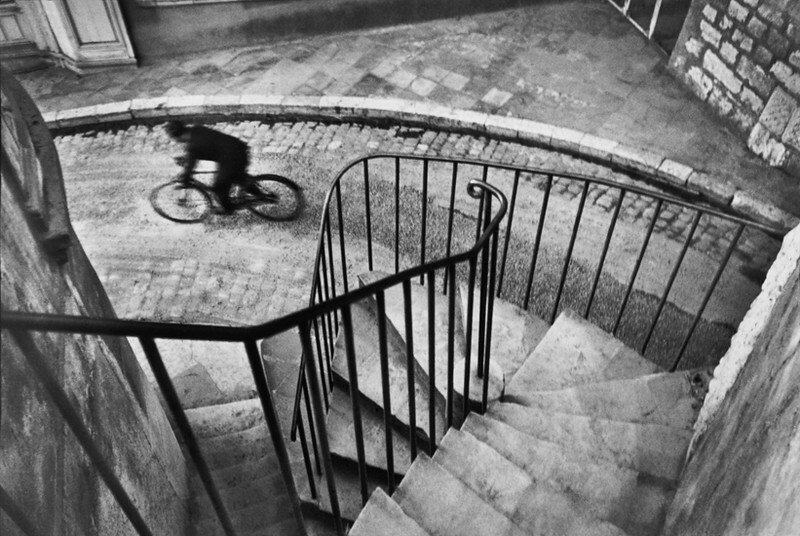 We have rule of thirds everywhere, but mainly on the bicycle rider, and we have leading lines everywhere, from the sidewalk, to the obvious swirl on the hand railing of the stairs. And if that wasn’t enough, the slow shutter speed, shows a great sense of movement and dynamism of the rider exiting the scene. The picture itself was taken in Hyeres in 1932, and has been present as an iconic image of Henri Cartier-Bresson during several retrospectives. The decisive moment here is obvious, and it beautifully juxtaposes the freedom of the rider, with the rigid soul of the balcony and the railings. The image seems even to be taken by accident, but thanks to his theory of the decisive moment, chances of doing things the way he intended, were and are, on his side. We can also think that this was the product of a long wait, which is in fact valid. 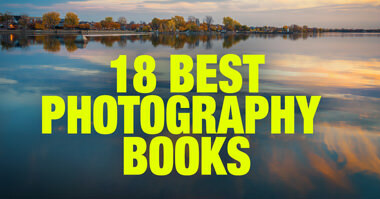 Photography is about patience, and we must never forget it. Iconic, simple, intriguing, just like his legacy. 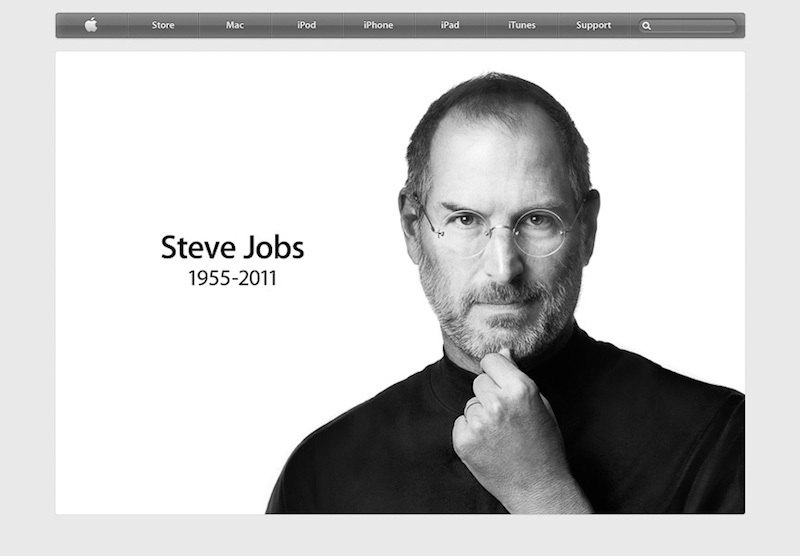 Soon after passing away, Steve Jobs portrait became the landing image of apple.com, and I think that is one of the most important portraits of our current times. The images was taken by Albert Watson in a 4×5 camera, ironic twist for such an innovative person like Jobs was. It doesn’t really matter what sort of technicalities Watson defined for this portrait, the image is about one person, and nothing more. The pose of his hand suggest constant thinking, and the subtle smile drawn in his face, transmits a great energy and confidence. The look pierces into the viewer and the black and white choice, was the perfect way to go in order to avoid any distractions. Few people have not seen this picture of Steve Jobs; and the way it was spread around the globe, made it an iconic portrait of our times in no time. This image shows the tranquility of eleven of the several workers that worked during the construction of the 30 Rockefeller Plaza in Manhattan. They are not just relaxed over the crossbeam, but they are also having lunch, which gives the image a curious character. 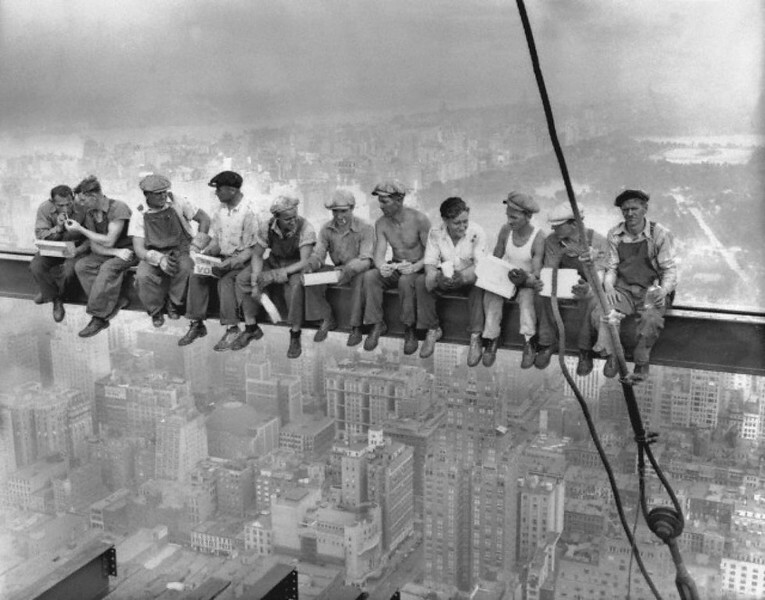 The image is very iconic, and was taken by Charles C. Ebbets in 1932 and there has been a lot said whether the scene really happened or if it was just a publicity maneuver for some sort of reason, but it doesn’t diminish the fact that the men were real ironworkers at the 69th floor of the building on the last stages of its construction, and there have been numerous claims regarding the identities of the men in the image. The image has been a great icon of the hard working culture of the human being, and also a great example of how much have evolved in terms of Occupational health and Safety as well. This is something that just won’t be seen again, I hope. It is fair that the image related to the end of the World War II, came out of the hands and eyes of a Jewish photographer. 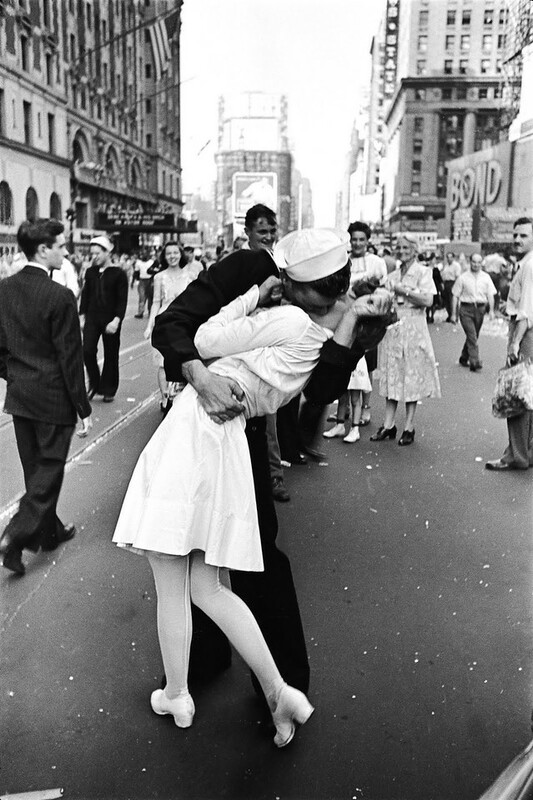 Here we can appreciate the great moment two of the greatest symbols of the war meet in a deep and passionate kiss. The two symbols are humans indeed, but they are the anonymous ambassadors of both all the sailors and all the nurses that worked hard during the war. The both institutions were fundamental pillars that helped United States to maintain its strength during the horrors of war. The celebration is due the end of such a violent and bloody period of our modern history, the image was taken in Times Square, New York City. There is another image from a slightly different angle (almost like what happened with the two pictures of Iesha Evans during the Baton Rouge protests in July this year) but the iconic one, due to its point of view and composition (I guess) is the one that Alfred Eisenstaedt took, but still the less popular image of Victor Jorgensen, is great, because it still captures the essence of this great summit of the War. The image doesn’t give a clear distinction between the two faces in the frame, which hoists the character of the symbols. 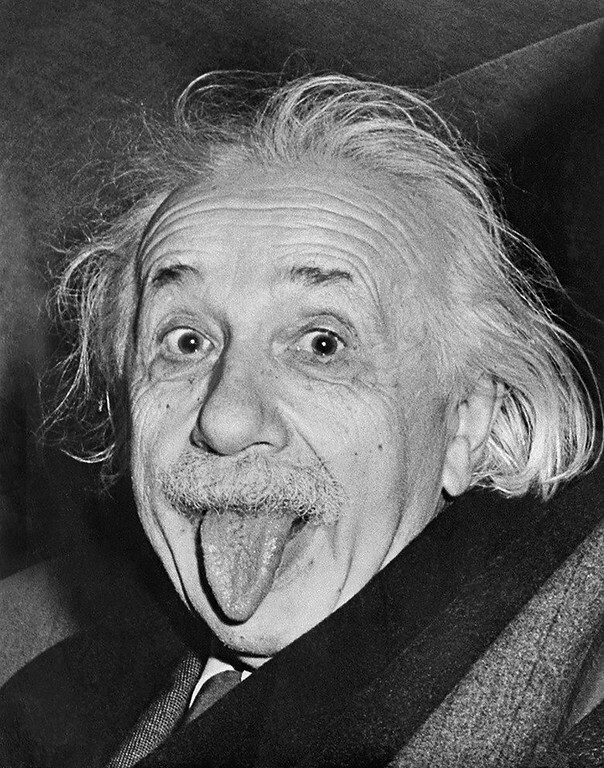 Often called “Einstein’s Tongue”, is an image that became iconic due to its humorous character. Humor as itself requires intelligence, and capturing humor in photography (especially when done candidly) is one of the hardest things to do in the discipline. The picture shows a different profile of Albert Einstein, and it’s playful and nutty character is what makes the image so great. The moment occurred in the 72th Albert Einstein’s birthday celebration, and a lot of photographers were there, but just Sasse capture the one that became iconic. We can delight ourselves with a humorous Einstein, instead of the Nobel prize-winning physicist who developed the theory of general relativity, therefore, we have a more accessible side of Albert Einstein. Just like V – J Day felt correctly shot by a Jew, this one feels appropriate to be shot by a Cuban. Ernesto “Che” Guevara was Argentinian, but the close friendship he had with Fidel Castro, makes a correct correspondence that the image was in fact taken by a Cuban. Alberto Diaz Gutierrez, best known as Alberto Korda, was the official photographer of Fidel Castro for 9 years, and traveled with him to many countries as well. 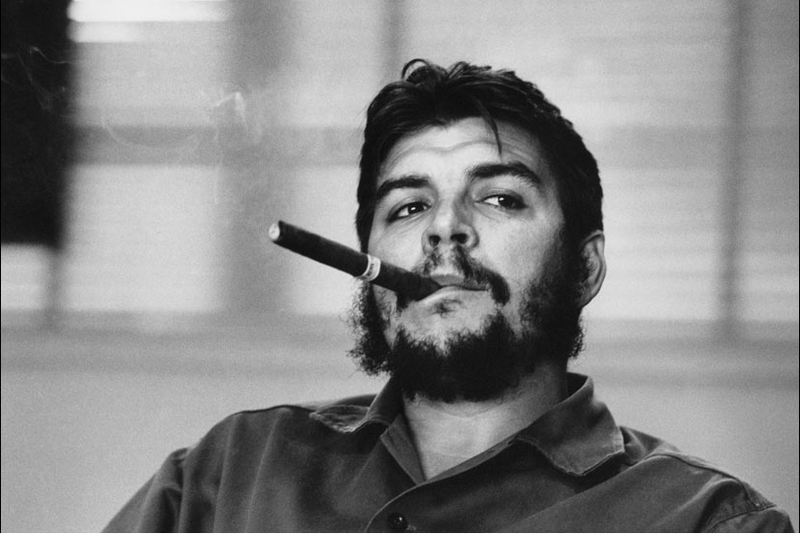 Ernesto “Che” Guevara was photographed in very remarkable ways, like the one that Rene Burri did of him. But the one that immortalize the heroic character of the Che, is Korda’s without a doubt. It had been widely spread from flags, to t-shirts to stickers, and the story behind the image, is the following. March the 4th of 1960, the French freight ship La Coubre, was transporting weapons from Belgium to Cuba to equip Castro’s regime. The boat exploded, and Castro blamed it on the United States. More than 75 persons died in the happening. The next day, a solemn funeral was celebrated in La Habana. While the speakers of the ceremony where dictating some words, Alberto Korda took two images of Guevara. He didn’t noticed the picture taking, and with time, the image became not just iconic, but symbolic. 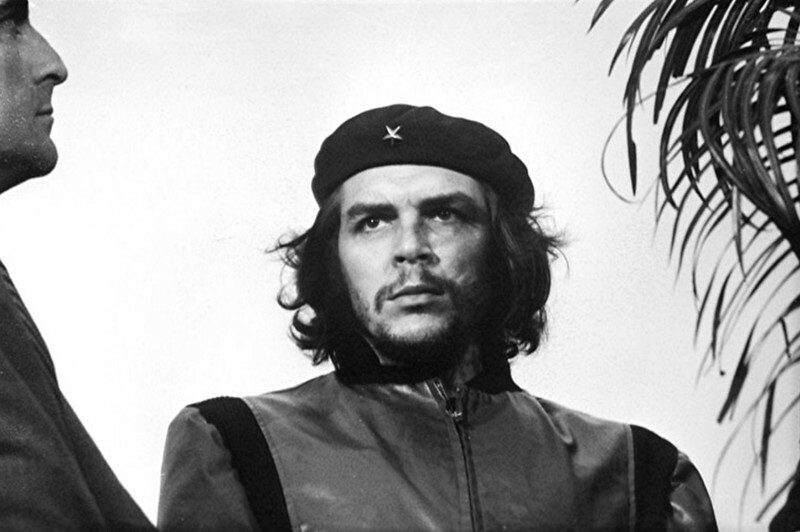 Alberto Korda was never happy with the fact that the image was used commercially in the way it did, since it was a completely contradiction to the Che’s believes, the ones he died for. It is been said that no other group of photojournalist had the freedom of portraying the atrocities of war, than those that walked around the bloody boundaries of the Vietnam War. Here we are in front of one of the cruelest images ever captured by a photographer. The image itself accredited Eddie Adams the Pulitzer Prize in 1969. Eddie Adams explains what happened in this short video, and honestly it feels like a true and honest reaction of a committed photographer, he saw the officer raising his gun, he instinctively raised his camera. The image became iconic almost immediately, and serves as a raw evidence of the horrors of war. This image is without any doubt, the most iconic image of the Vietnam War, due to its proximity to the exact brief moment one man takes the life of another man. 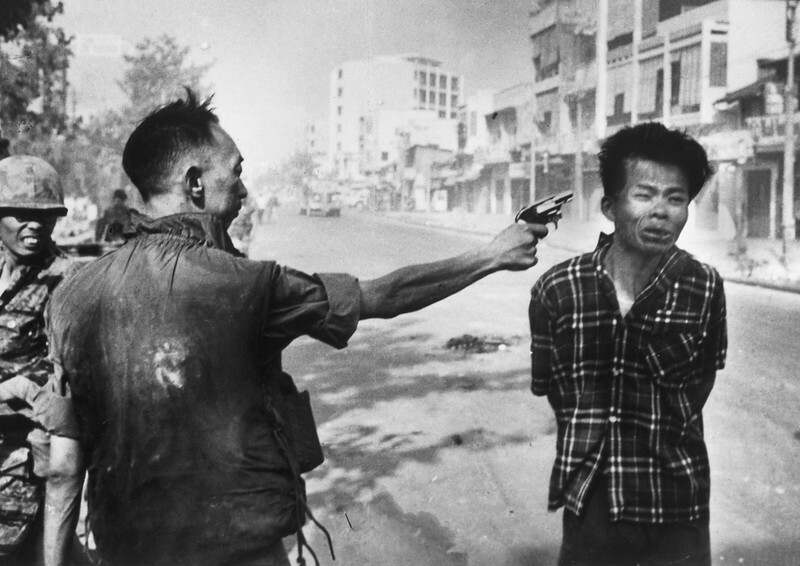 The uniformed South Vietnamese officer shoots a prisoner in the head, and the brutality of the moment, got immortalized thanks to photography. This is why Photojournalism is so important, so we can remember things that may not be repeated. 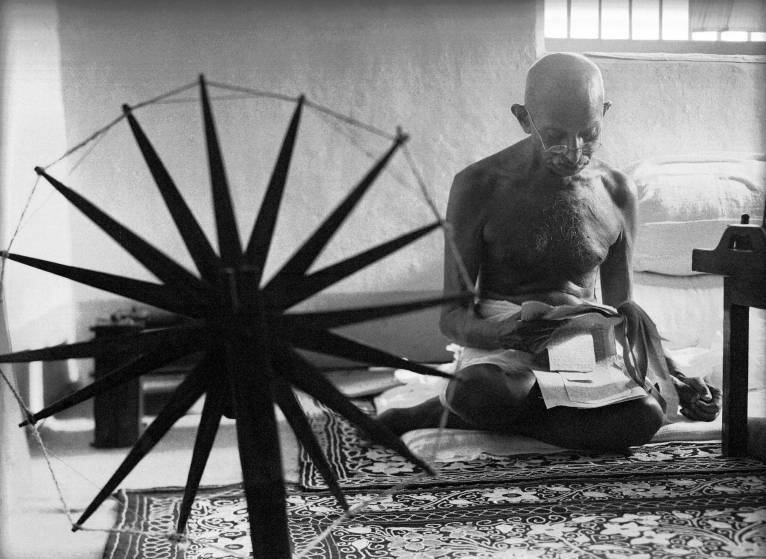 First of all we need to understand the importance of the spinning wheel, since one can just look at the image and state “why is it iconic?” The spinning wheel was the strongest symbol for India’s struggle and desire for independence from the United Kingdom. Gandhi was near one and the composition seemed appropriate, but Gandhi’s secretaries stopped her, and told her that if she was going to make the image, with that precise composition, she had to learn how to use one spinning wheel herself. If Margaret Bourke didn’t had the social skills to accept the traditions and respect for the cultural demands, the image simply wouldn’t have happened at all. LIFE magazine’s first woman photographer was in India in 1946 covering the Indian independence process. Still with his identity uncertain, the picture of the anonymous protestor of Tiananmen Square. The background of the picture is the following. When the Chinese military convoyed into Beijing, the one-man army individual opposed the long column of tanks that were rumbling into the area. 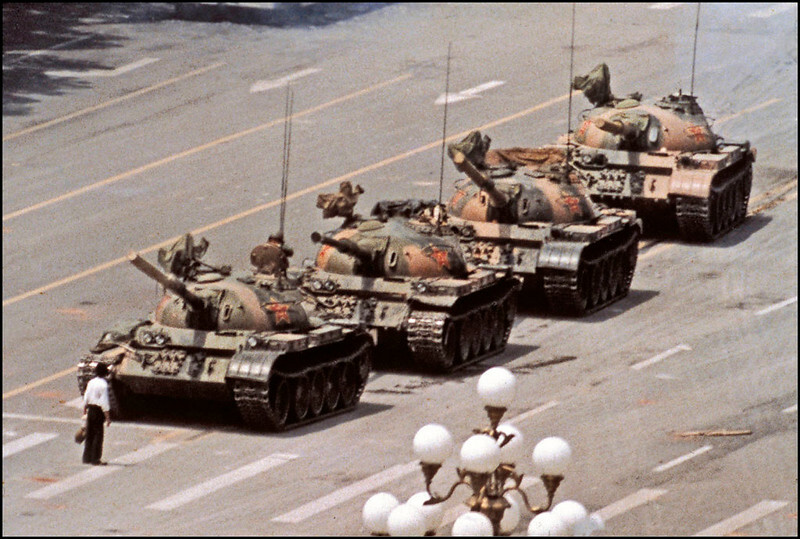 Fortunately the tank driver was compassionate and stopped, because something like that happened a few months back in Turkey, and the drivers weren’t so human like the Chinese. Even though images keep reminding us about the atrocities that must not be done, there are still work to do in order to sensibilize the human race to avoid this kind of events in the future. The image shows the great power protesting can have. Is this a joke? The photo of Che is on countless hundreds of millions of t-shirts, posters, billboards, works of art, etc., and has an iconic status vastly beyond any other photo. Nothing else compares.